Don't know what your tax code means? In the UK, we have a list of tax codes that determine how much money you have to hand back to the taxman each year. Here's how to check you're on the right code for the 2019/20 tax year. If you look at the list of tax codes in the UK, you'll find they're almost always made up of a series of numbers and a letter. The most common letter is L.
This means that you are under 65 and eligible for the standard tax-free Personal Allowance – this is the amount you can earn before Income Tax kicks in. The basic Personal Allowance for 2019/20 (the tax year runs from April to April each year), applicable to low and middle earners with an annual income of less than £100,000, is £12,500. This exact allowance figure (divided by 10) will precede the letter in your code. So for the 2019/20 financial year, 1250L will be one of the most common codes. Should you be paying less tax? We've put together a complete guide to cutting your tax bill, including Income Tax, Council Tax, Inheritance Tax and more. Another code that many people may have is the K code. This is essentially the reverse of an L code and is used when your level of untaxed additional income exceeds your Personal Allowance. This can happen if you are paying tax you owe from a previous year through your wages or pension, getting State benefits that you need to pay tax on or getting benefits from work. To take a step back: the taxman wants to know about any additional income you get from your employer – often this will be in the form of employee benefits. This income eats away and reduces your Personal Allowance. Consider this example: your employer provides you with a brand-new BMW company car to use both on the job and at home. All your petrol is paid for, as is the licensing and tax associated with the vehicle. The taxman will come up with a figure for the income you’re receiving from this (for personal journeys), and cut it from your Personal Allowance. This will give you a tax code that still ends in L, but has a smaller figure preceding it. So, if the taxman decided that you were getting £6,000 of income from your company car, you will see a code of 650L on your new tax code (£12,500 - £6,000 = £6,500). However, if this additional income exceeds your Personal Allowance, wiping it out completely, you’ll be shunted onto a K code. To continue our example – if the taxman decides that you’re receiving £15,000 of additional income from the company BMW, you’ll see 250K as your tax code. This means that you need to pay Income tax on all of your earnings plus the additional income from the company car that exceeds your Personal Allowance. This code is used to indicate if your income or pension is taxed using the rates in Scotland. Your tax code will be S1250L if you pay Scottish Income Tax and get the standard Personal Allowance. If you’re a high-earner, the situation starts to get a little more complex. For every £2 you earn over £100,000, you’ll lose £1 of your Personal Allowance. At this point you should be put on a T code, preceded by a figure showing the level of allowance you have left, providing any company benefits aren’t forcing you onto a K code. When your income reaches £123,700, you’ll lose all of your allowance and your whole income will be subject to the appropriate rates of Income Tax. At this point, you’ll be put on a 0T code. You may be able to pass 10% of your Personal Allowance onto your spouse thanks to the Marriage Allowance. If your annual income is £12,500 or less, and your partner is not a higher-rate taxpayer, you can pass on 10% of your Personal Allowance (£1,250 currently) to your other half. The M code means that you have received 10% of your partner's allowance, while the N code means you have transferred 10% of your allowance to your partner. You’ll usually receive a tax code for each source of income you receive. If you have more than one income, you’ll be asked to state which is your main source, and this will have the appropriate level of Personal Allowance applied to it. All other income will all be taxed without any allowance. If you pay at basic rate, additional income sources will receive a BR code, higher rate payers will get a D0 code and those liable for the additional rate will get the D1 code. An NT code will come through if no tax is to be taken. This could be because your total income is less than your Personal Allowance, or you’re a self-employed contractor who is liable to pay National Insurance but not Income Tax. Want more stories like this? Visit our homepage or sign up for our daily newsletter and let us send the news to you! An emergency tax code is issued if HMRC does not have enough information about you to send your employer the correct code. This usually happens if you start your first job and get your first source of income part of the way into the financial year, or you haven’t got a P45 from a previous employer. The first part of the emergency tax code for 2019/20 is 1250 – the same as the basic Personal Allowance code. This normally ensures you receive the basic amount of monthly tax-free pay. But it doesn’t take into account any other relief or allowances. However, there will also be either W1 (for weekly pay) or M1 (for monthly pay). 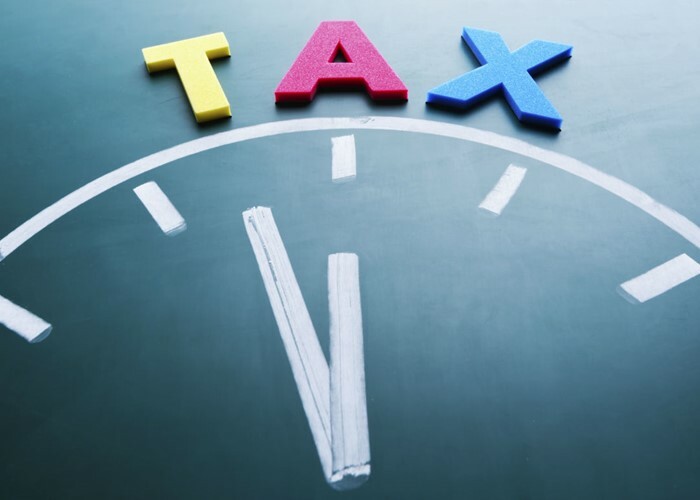 This signifies that you are being taxed as if it is the first week or month of the financial year. If you start work part of the way into the year, a W1 or M1 code could see you overpay in tax – as it is spreading your Personal Allowance over too many months. For example, if you start your first job five months into the financial year, you should receive a seventh of your Personal Allowance in each monthly wage packet. A W1 or M1 code will only give you a twelfth – meaning that you will be overpaying. However, when you hand over your P45 or P46 to your new employer, your tax code should change – and you should be reimbursed with any losses. If you get to the end of the financial year and still haven’t been reimbursed with the overpaid tax, you should get it back in a refund. If you think your tax code is wrong you need to tell HMRC as soon as possible so it can be corrected. You’ll need to have your tax reference and National Insurance number to hand – these can be found on your payslips or any letters from HMRC. You can get hold of all of the contact details for HMRC by heading to its website. You can also read our guide to contacting the taxman as painlessly as possible.